Gender reveal parties and cakes seem to be all the rage right now...and we love it! 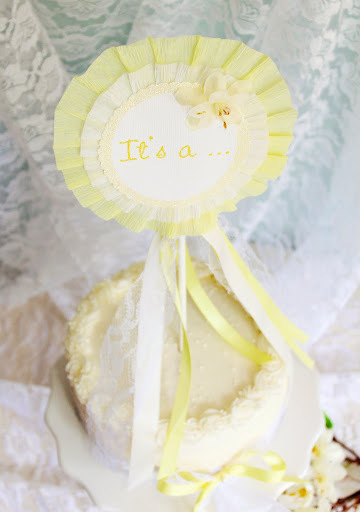 It is such an exciting way to share with your friends and family what you are "expecting"! 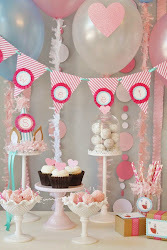 One spectacular gender reveal party that comes to mind was for our sweet friend Kate Landers! 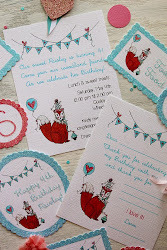 She had a "Make Way for Ducklings" theme and it was...to say the least adorable, we hope you will check it out! 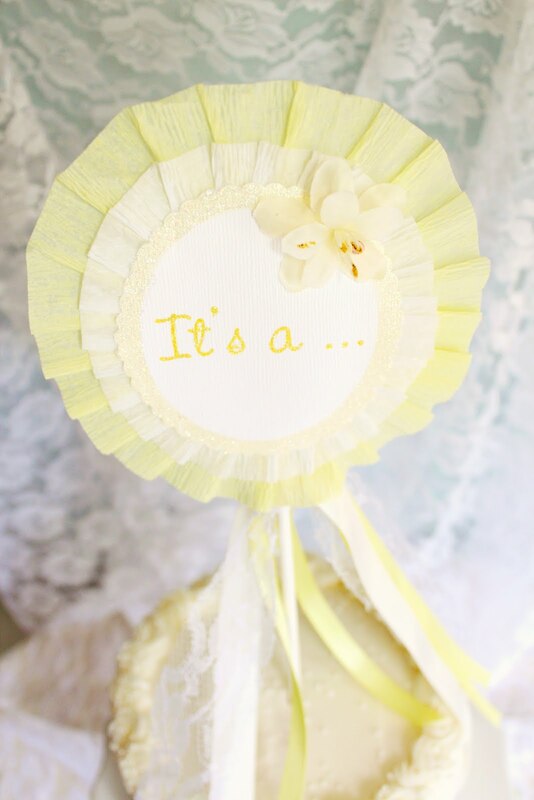 Well, our own very talented and adored DIY corespondent, Katie is about to have another little sweet one of her own! Katie asked us to help surprise her husband and daughter Siena with the gender of the baby, in cake form! We just loved the idea so we made two cakes, one in blue and one in pink and awaited her call with the big news to see which cake we should frost! We wanted the cake to be really special, with an element that she could keep, so we made an over sized cupcake flag in a buttery yellow that read, "It's A...". 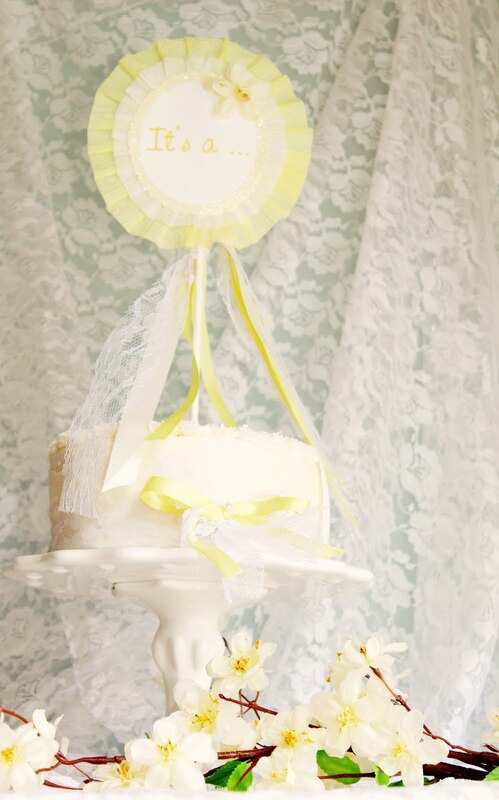 We tied ivory and yellow ribbon and white lace from it to give it a dainty, airy feel and wrapped the bottom of the cake in lace and a yellow bow! Can you guess what color the cake was!?! Ahhhh...you tempt me! I definitely thought you were going to name the gender. I'm going to say blue. It seems everyone has been having boys lately!